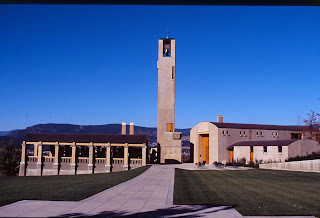 Mission Hill Family Winery has taken the next step to achieve owner Anthony von Mandl’s object of turning this into one of the world’s top 10 wineries. At a District of West Kelowna council meeting in mid-November, Mission Hill launched the process of having the District approve an ambitious expansion over the next decade that cost at least $80 million. That’s at least double what was invested in previous redevelopment of a winery. The project, which was completed about five years ago after more than six years of work, gave the winery the look of hilltop palace in Tuscany. Mission Hill began working on its latest project two years ago. The architectural features are so creative that a scale model was built to help the District’s technical staff understand the concepts. “Anthony’s vision now is more towards the hospitality side, to make it a true world-wide destination location,” Art Phillips, a Mission Hill consultant, said in an interview. Construction is not expected to start until 2011, after architectural details are final and all of the approvals are in place. The project is to be done in four phases and completed about 2019 or 2020. It is believed there will be nothing comparable among other North American wineries. The tentative plans call for a 104-room country inn, 30 guest cottages, a conference centre, a wellness centre, a year-round restaurant and an underground parking garage. The major structures will be anchored into the side of the mountain below Mission Hill’s current demonstration vineyard. Mission Hill owns 17 acres on two mountainside benches below that vineyard. Seven acres are to be developed and the remainder is to remain in its natural state. Because some of the structures are bored into the rock and because some roofs will be covered with vegetation harvested from the site, Mission Hill expects the development will blend into the hillside. Almost none of the buildings will be visible from the winery itself. The best view of the development likely will from a boat on Okanagan Lake. In preliminary community meetings and at the District Council, questions were raised about the implications for the traffic volume to the already busy winery. Mission Hill plans to bring additional traffic up Mission Hill Road and then around the back of the existing winery and not through other public roads that have access to the site. The plan is that vehicles will disappear into underground parking on entering the development. Most of the development will be designed for pedestrian access. Mission Hill opened originally in 1966, constructed in the style of an 18th Century California mission. Part of the original business plan relied on attracting winery visitors to what even then was the Okanagan’s most spectacular winery site. However, wineries were not permitted then to operate tasting rooms or wine stores. Mission Hill went into receivership twice between von Mandl bought it in 1981. At that time, the winery had dirt floors, and welcomed visitors to a gravel parking lot with picnic tables. Government policy changed, allowing tastings. Von Mandl opened one of the first retail shops in a British Columbia winery. Unless it is already being done, here’s a suggestion for an MBA student looking for a thesis subject: do the paper on those British Columbia wineries that have achieved a cult status. Many other wineries would benefit from such an analysis. Burrowing Owl Estate Winery should serve as the opening chapter for any such paper. One of the many reasons for the winery’s strong reputation has been the consistent style of the wines right from the first vintage in 1997. Even allowing for vintage variations, the winery always delivers some of the Okanagan’s biggest, most generous reds. Consumers know what to expect and the winery delivers. That’s all history now. Burrowing Owl returned to improved cork closures in 2007. The wonderful 2007 wines can be cellared with confidence to 2015 at least. There are two major explanations for the consistent quality of Burrowing Owl wines. 1. Farming. 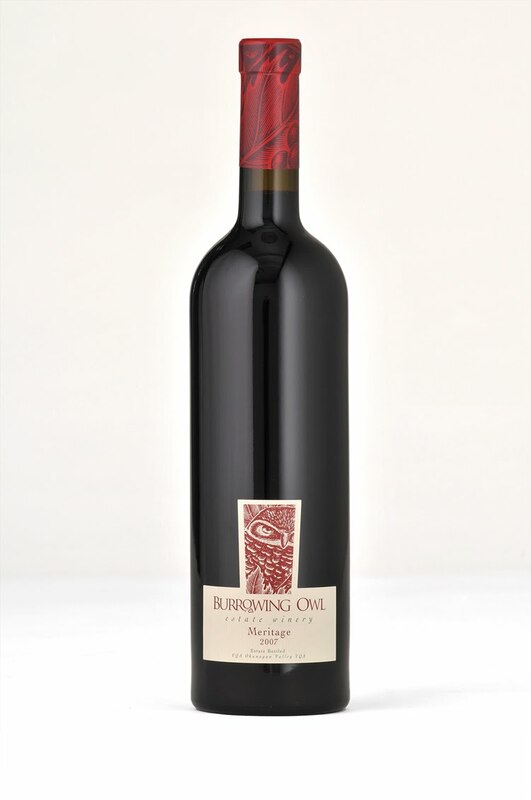 Some of the most capable viticulturists in the south Okanagan have managed the Burrowing Owl vineyard since it was planted in the early 1990s. It is a cliché, but still true, that perhaps 75% of the quality of a wine is achieved in the vineyard. 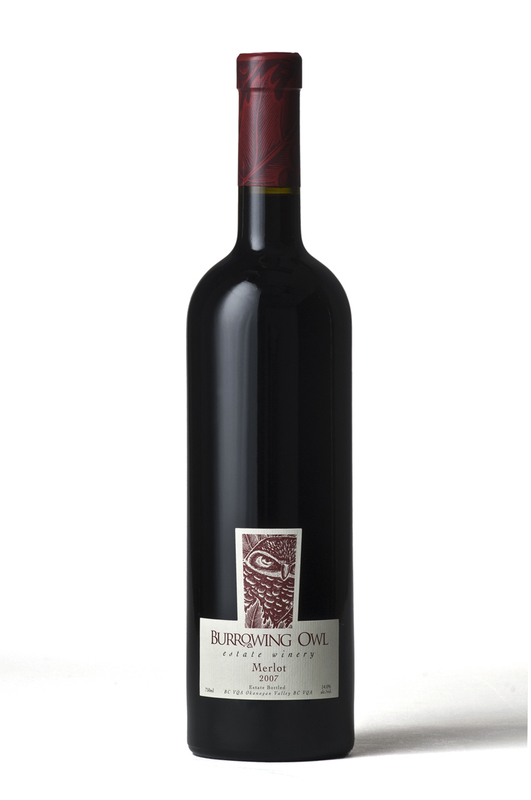 Year in and year out, superior quality grapes are delivered to Burrowing Owl’s winemakers. Furthermore, the winery is devoted to ongoing improvements in its vineyard. This past vintage, the winery began stretching reflective strips of cloth in its Cabernet Franc blocks. These reflect additional sun into vines, notably on the north sides of rows. 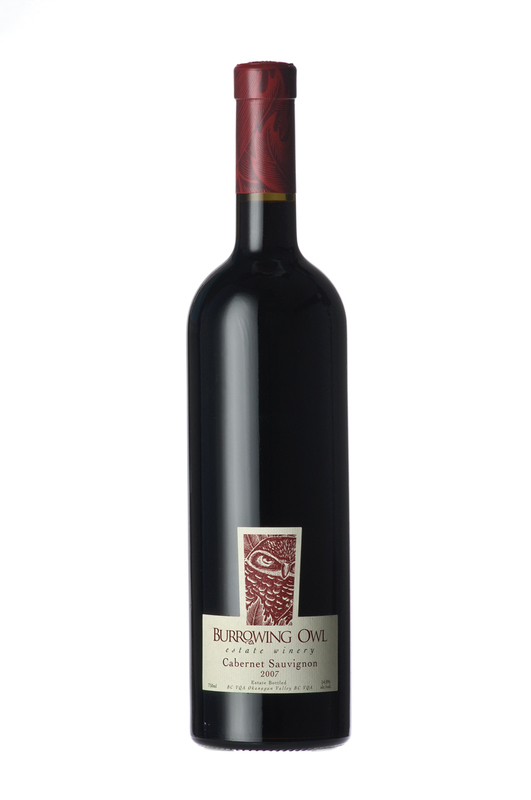 This promotes riper grapes with more flavour, supporting the rich, packed-with-flavour Burrowing Owl style. 2. Winemaking. The first six or seven vintages were produced under the direction of California consultant Bill Dyer. There have been three winemakers at Burrowing Owl since he left in 2004 but none have deviated in any major way from the quite singular Napa Valley style that Dyer stamped onto Burrowing Owl. Dyer hit the sweet spot of consumer taste. A winemaker would mess with that style at his peril. The 2007 vintage was made primarily by Jeff Del Nin, an Australian-trained Canadian winemaker. These wines still have the basic Napa style with a touch of Barossa richness and with the brightness that sets them apart as Okanagan wines. It is a pretty good combination. 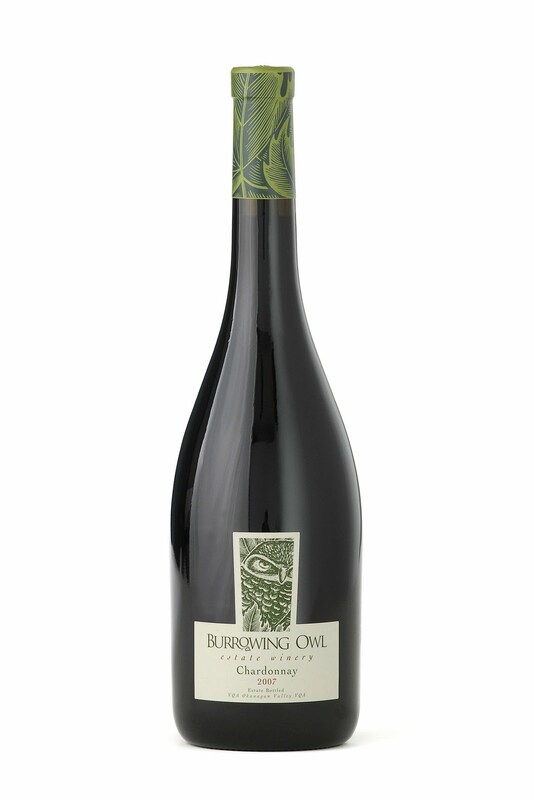 Burrowing Owl 2007 Syrah ($38). 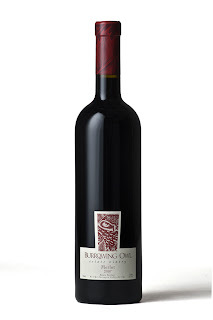 The winery has made Syrah since 2000, establishing a style that is (no surprise) bold and generous. This is achieved by starting with ripe grapes and giving the wine long skin contact during fermentation. This wine fermented about 20 days. The wine was then aged in a combination of French, American and Russian oak; a quarter of the barrels were new. The new book from Linda Bramble, a prolific and authoritative Ontario wine writer, is a must for anyone interested in Canadian wine, with its lively profiles of leading figures that have shaped the business. The book is Niagara’s Wine Visionaries: Profile of the Pioneering Winemakers, published at $29.95 by James Lorimer & Co., Toronto. It is a slim 224-page volume but it is packed with information, including an opening chapter that moves briskly through early history and through viticultural essentials about Ontario. Each of the subsequent nine chapters is built around one individual. The pen portraits of those individuals are fleshed out with their accomplishments. At the same time, each individual’s story brings with it larger stories about significant industry developments. It is a lively way of personalizing the history of Ontario wine. The first profile is of distiller Harry Hatch who brought the T.G. Bright & Co. winery from the founding family in 1933. Ontario had emerged from prohibition six years earlier. It was an odd prohibition because the production and sale of wine was still allowed as long as the wines were sold either in large containers or as prescriptions through doctors and pharmacies. Guess what happened? The number of wineries quadrupled in a decade. There were about 50 in 1927. Not many were competent and all struggled during the Depression. Hatch saw this as a buying opportunity. After buying Brights, he folded a number of other wineries into Brights. Then he hired professional winemakers and ordered French grape vines to replace the native American varieties, which made poor wines. He died in 1946 but the team of professionals assembled in Brights went on to do ground-breaking research and development. The first varietal Chardonnay in Canada, for example, was made by Brights in 1955. That leads nicely into a profile of Donald Ziraldo who, with Austrian-born winemaker Karl Kaiser, founded Inniskillin in 1974. Inniskillin was the first new winery (except for a honey winery that failed soon after opening) to get an Ontario license since 1927. There were seven big wineries in Ontario in 1970 and the bureaucrats maintained that was enough. Ziraldo and Kaiser got lucky. The new chairman of the Liquor Control Board of Ontario was Major General George Kitching, an elegant man who drank decent wine. Soon after he took over, he said, in response to a reporter’s question, that he enjoyed a good French Burgundy with his roast beef. When an Ontario grape grower chastised him for favouring imported wine, Kitching snapped: “Good God, you don’t think you make good Burgundy!” Or words to that effect. He was persuaded that Ziraldo and Kaiser could make good wine. He gave them a license and made sure that the LCBO supported this new winery. The subsequent success of Inniskillin laid the foundation for estate wineries in both Ontario and British Columbia. And Inniskillin, by winning a major international award for icewine in 1991, put Canada on the world’s map for wine. One of the fine estate wineries that emerged in the 1980s was Len Pennachetti’s Cave Spring Cellars. Although he and his winemaking partner, Angelo Pavan, both have degrees in philosophy, they were leaders in establishing good viticulture on the Jordan Bench (although you would not suspect it from the hilarious photo here of the absurdly crooked rows in one of Pennachetti’s early vineyards). Perhaps his legacy (he remains in the business) is the legislation that set out standards for Ontario wine and influenced the development of standards elsewhere in Canada. The Paul Bosc chapter profiles a leader of grape growing on the Niagara Peninsula. Born in Algeria, trained in France, he did absolutely ground-breaking research and development. He also launched Chateau des Charmes, a fine Ontario winery. Both Bosc and Ziraldo hold the Order of Canada. There is a charming story of the prolonged French litigation which began in 1964 against Chateau-Gai, Bosc’s first Canadian employer, to stop the winery from selling "Canadian Champagne". Bosc risked his job by refusing to testify that it was anywhere near as good as the real thing. Canada finally agreed in 2003 to stop using European geographical indicators. Bramble neglects to note this was done so that Canadian icewine could be sold readily in Europe. The profile of Paul Speck and his brothers, who operate Henry of Pelham Winery, serves as the vehicle for describing the impact of the free trade agreement on Canadian wineries. The winery had been started by Paul’s father but the sons (one not old enough at the time to drink) were pitched into running it during a turbulent period when the elder Speck succumbed to cancer. Bramble has an inelegant turn of phrase to describe the reaction of Ontario grape growers to free trade: they felt “gobsmacked.” But it is close to the mark. The California wine industry wanted Canada to dismantle the protections for Canadian wine. The Canadian negotiators agreed because few thought the wine industry worth protecting anyway. But when the industry got over being spit in the face, it pried the conditions from government (money for replanting vineyards or modernizing wineries, access to imported vines) that have turned Canadian wine around so brilliantly. The profiles of Don Triggs, the founder of Vincor, and Andrew Peller, the founder of André’s Wines Ltd., are vehicles to describe corporate risk takers and also to detail modern-day consolidation. Peller started his winery in B.C. in 1961 because Ontario would not give him a license. He got into Ontario in 1970 by buying an existing winery. By that time, he was badly over-extended and he got his son, Joseph to give up a successful medical practise and run the business. Joseph did a good job but what really made André’s successful was Baby Duck. Launched in 1971, it once was Canada’s best-selling wine. The company today is run by Andrew’s grandson, John, who has invested heavily in buying additional estate wineries and vineyards in both B.C. and Ontario. Just after the free trade agreement took effect, Triggs led the management group which bought John Labatt’s wineries with a ridiculously small down payment, taking on huge debts. Not only did Triggs pull that off with skill: he built it into Vincor, the eighth largest wine group in the world until it was swallowed up several years ago by Constellation Brands. In my view, the Triggs chapter could be longer. By focussing on Niagara, Bramble reduced the scope of this account. Triggs was a world player, not just an Ontario player. Vincor acquired or developed five superb wineries in British Columbia and has vastly more vineyard here than in Ontario. His strategy of acquiring wineries in the U.S. (two), Australia and New Zealand gave the Canadian-controlled company global presence – even if buying a South African brand made Vincor vulnerable to being taken over. Bramble notes that Ziraldo has started a new winery. It should be observed that Triggs has planted a vineyard in the Okanagan and, with daughter Sarah just back from wine school, likely will also open a new winery in a few years. The profile of Norm Beal, founder of Peninsula Ridge, is of a recent entry into the Ontario wine industry, one who brought refreshing corporate savvy from a previous career. Both he and Linda Franklin, who runs the Wine Council of Ontario and is also profiled, are consummate and effective movers in government circles. These two profiles underline the astonishing amount of government lobbying that the wine industry needs to do to get ahead. The fact is this isn’t Europe where wine is a central part of culture and national pride (see France) or, along with bread and water, a daily necessity (see Italy). In Canada, the industry is over-regulated, over-taxed and, in some quarters, still not respected. Bramble’s book lays out well most of the industry’s war stories over a century or so. This industry and these people have triumphed against long odds. Take a long look at the labels above: all will disappear next year as part of a major overhaul of the labels at Jackson-Triggs Vintners. The overhaul will provide more distinction between Jackson-Triggs tiers. It will also a solution to this summer’s contention over the lack of transparency on the Cellared in Canada wine labels. As Jackson-Triggs brand manager Casey Howe put it in a recent interview, Jackson-Triggs was the lightning rod when the wine media, led by Britain’s Jancis Robinson, tore a huge strip off the Canadian wine industry. But let’s get one thing straight. This label overhaul was not rolled out this week in a panic reaction to the recent Cellared in Canada controversy. 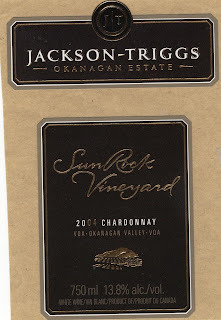 Go back and read my blog of June 25 in which I reported on a tasting in Vancouver led by Brooke Blair, the red wine maker at Jackson-Triggs Okanagan. That report was based on comments the winemaker made during the tasting. The Cellared in Canada controversy erupted later in the summer. The flashpoint was the Jackson-Triggs label for an Olympic wine brand called Esprit. The non-VQA Esprit wines (now withdrawn) had labels that mirrored the VQA Esprit. The only difference was the lack of a VQA identifier. The critics complained that Jackson-Triggs was passing off imported wine bottled in Canada as Canadian wine. Vincor, the company that owns Jackson-Triggs, would probably admit now that it made a mistake. 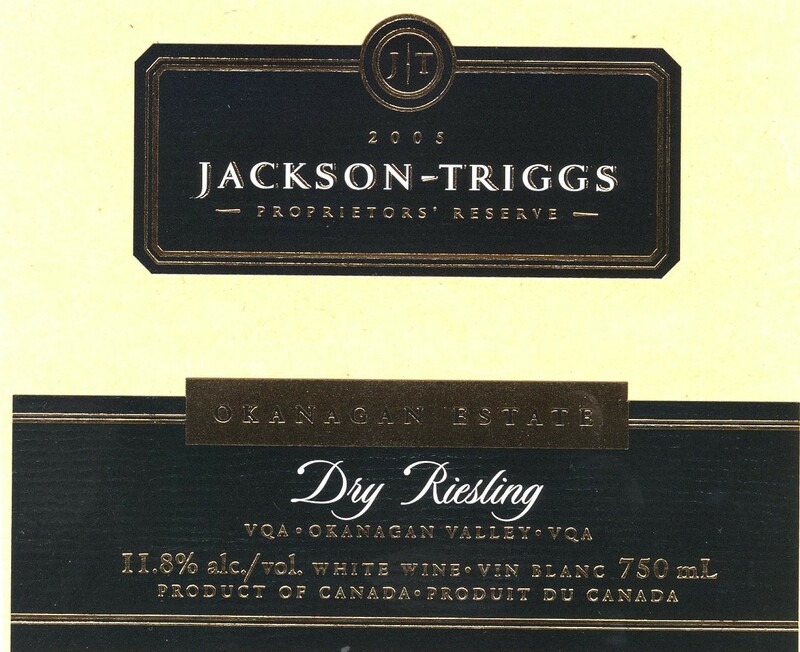 However, the overhaul of the Jackson-Triggs labels was running on an entirely separate path. 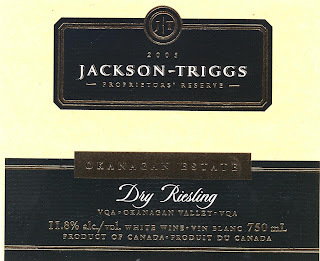 The Jackson-Triggs brand was launched in 1993 for both wines from Canadian grapes and non-VQA wines. As Howe corrected notes, VQA was then in its infancy - two years old in B.C., four years old in Ontario. Curiously, commercial wineries were not allowed into the VQA program for the first few years because smaller wineries feared there might be leakage of non-VQA product. Since then, however, the VQA brand – wines made from grapes grown in Canada only – has won huge consumer loyalty, given the dramatic improvement in the quality of Canadian wine. And Jackson-Triggs has become one of the strongest VQA brands in Canada. The new Jackson-Triggs labels clearly separate the VQA wines from the non-VQA wines. The new line-up has three tiers plus the non-VQA tier. 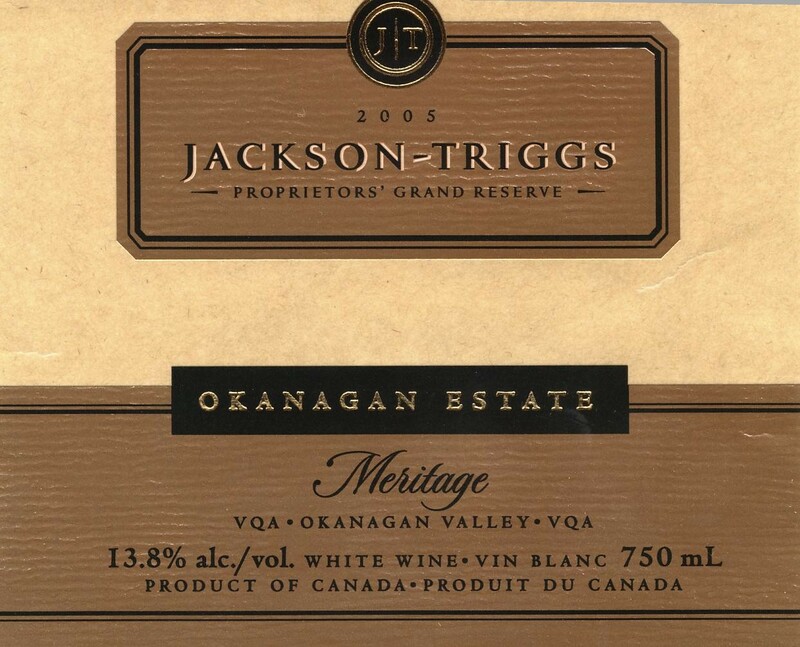 The Jackson-Triggs name appears on all four tiers because the company, in its consumer research, found a great deal of consumer loyalty invested in the brand. The non-VQA wines, now called Proprietors’ Selection, will be called Unity. That happens to be a brand Vincor previously used for a line of wines blended from Ontario and British Columbia fruit. That idea didn’t catch on. Vincor is recycling the brand, a reflection of how hard it is to come up brand names not already taken by someone else. The Unity wines, which will sell for $10 a bottle or less, will have a nice big white labels. The name of the varietal is displayed in a coloured panel at the bottom. Right under the variety is a tag line that says the wine is a blend of “international and Canadian wine.” The back label reiterates this. That should be clear enough for those consumers who care. It is debatable how important this is to consumers who only want an affordable everyday wine. But it is important to the purists, to the supporters of Canadian wines and to the integrity of VQA. * The current Proprietors’ Reserve range is replaced by black label wines selling in the $10-$15 range. * The new silver label wines, selling for $15-$20, will include wines repositioned from both the Proprietors’ Reserve and Grand Reserve lines. Part of this overhaul also involves reducing the number of products being offered. 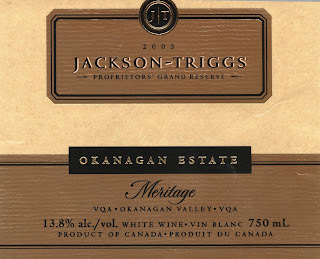 Jackson-Triggs Okanagan will slim down to 29 offerings from 44. Gone will be wines such as the Cabernet Franc Rosé and the Proprietors’ Reserve Riesling. There is more focus on core varietals like Sauvignon Blanc and Shiraz. * The new gold label ($20 and up) is the top tier. 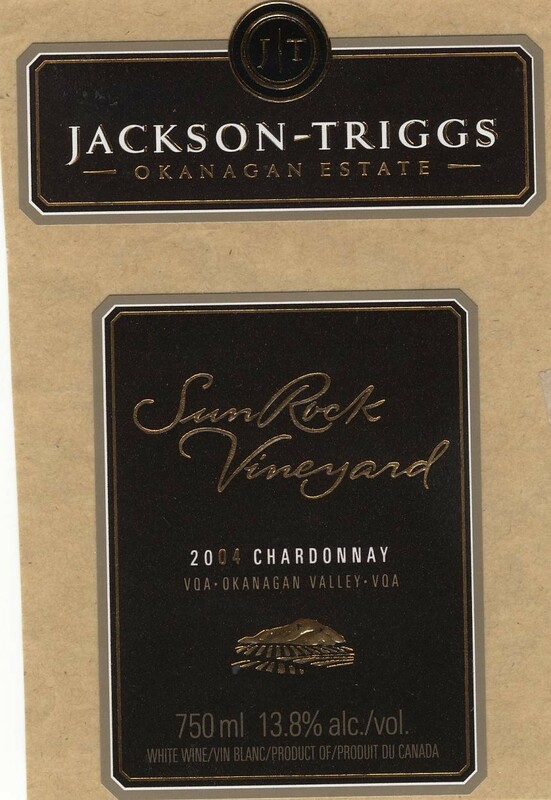 This will include Meritage blends and select single vineyard wines, such as SunRock in the Okanagan. And the SunRock designation will be trimmed to rich reds only because that is what the vineyard does best. The Chardonnay vines in that vineyard have been pulled out and are being replaced with appropriate reds. In a clever innovation, Jackson-Triggs will add a little panel on the back label that looks a bit like an electronic circuit. This can be scanned by the average smart phone, drawing consumers into web-based information on the wine and on food pairing and whatever else the imagination comes up with. “It’s about making the back label work a lot harder,” Howe says. Look for a lot of other wineries to jump onto this device because of its obvious appeal to young and tech-savvy consumers. During the past five years, the price of Grange, Australia’s most iconic red wine has gone into orbit, well beyond reach for all but the wealthiest of wine collectors. Enthusiasts have been collecting Grange, which was first made in 1951, for almost half a century. It cellars so well that Penfolds, in the fifth edition of The Rewards of Patience, reported that most vintages are still alive. The 2001 vintage can be cellared to 2040. If only it were affordable! There is good news, however. Not every collectible Shiraz from Australia comes with a prohibitive price. There is, for example, Peter Lehmann Stonewell Shiraz. The 2002 vintage in this market sells for about $82 a bottle. It is also a stiff price but not so high as to deter laying a few down each year. A recent Vancouver tasting, hosted by winemaker Phil Lehmann and his wife, Sara, show just how well the wine cellars. Every available vintage of Stonewell was tasted including the first, 1987. The first few vintages have faded slightly but still are sound enough to enjoy. Every vintage of the 1990s was delightful and had lots of life left. Based in the Barossa Valley, the Peter Lehmann winery now is owned by The Hess Group of Switzerland but continues to be run by Peter Lehmann and his sons (Phil is one). In the 1970s, Peter was working for Saltram Estates winery, one of the oldest of Barossa wineries. In the late 1970s, a glut of red wine on the Australian market led to a decision by Saltrams not to make any red for a few years. Peter’s role included grower relations. He was ordered to tell growers that Saltrams would not be buying their grapes. Instead, he gathered a few friends and some money, bought the grapes and began making wine for his own winery, which was built in 1980. Needing cash flow, the winery sold most of its production in bulk for several years. Then in 1987 Peter and his chief winemaker, Andrew Wigan, decided to make what the Australians call a “show” red – a wine to win competitions. Stonewell was born. The winery makes a range of Shiraz wines. 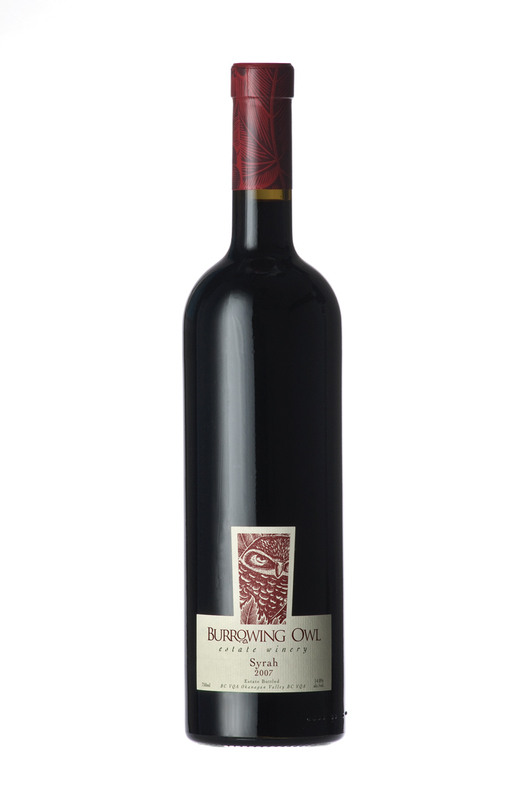 For Stonewell, it cherry picks the best old-vines Shiraz from the best of the 185 growers that supply the winery. The growers whose grapes make it into Stonewell are honoured by the winery’s own hall of fame. One of the three growers who supplied fruit for the 1987 Stonewell was named Ralph Schrapel. His grapes have been in 12 vintages including the 2002. Perhaps he has now retired because his name has not appeared since. But what a run! The first two vintages of Stonewell fared well enough on the show circuit but the reputation of the wine was sealed when the 1989 Stonewell won the Jimmy Watson Trophy, the most prestigious trophy on the Australian circuit. The irony is that the trophy always goes to one-year-old red. I can report that the 1989 Stonewell, while perhaps past its prime, still tastes very good. It has mellowed to become soft and charming, with aromas and flavours recalling plum jam. Perhaps the three stars of this 20-vintage vertical were the Stonewells from 1996 (huge, almost porty), 1998 (elegantly showing cassis, plums and liquorice) and the 2000 (exceptionally complex). These are wines from three of Australia’s finest recent vintages. Hopefully, the liquor board and Stonewell’s agents here will bring in succeeding vintages so that collectors can lay down these amazing wines. I thought that the 2004 and 2005 Stonewells are every bit as good as 2002, if not more so. On another note, the Peter Lehmann winery has recently begun packaging its wine in lighter bottles. Working with its bottle supplier, it has reduced the weight of its proprietary bottle by 15% and is now doing the same with its other bottles. The lighter bottles are just as strong as the previous ones. As a result, the winery will be shipping 800 tonnes less glass around the world each year and that, according to the winery, translates into an annual reduction in carbon dioxide emissions from transportation of about 200 tonnes. Every bit counts. To those who know Howard Soon’s wines at Sandhill, it is no surprise that Sandhill is this year’s winery of the year at the Canadian Wine Awards. Sandhill walked away from that competition with 21 medals, including White Wine of the Year (Small Lots 2008 Viognier) and Red Wine of the Year (Small Lots 2007 Syrah). Howard’s title is winemaster and obviously that is no exaggeration. One can have a chicken-and-egg debate: did Howard’s great talent turn Sandhill into a legend or did the superbly-grown Sandhill grapes make a legend of Howard? In this instance, evolution doesn’t help up. I think God created both on the sixth day so that He would have something good to drink when He rested. 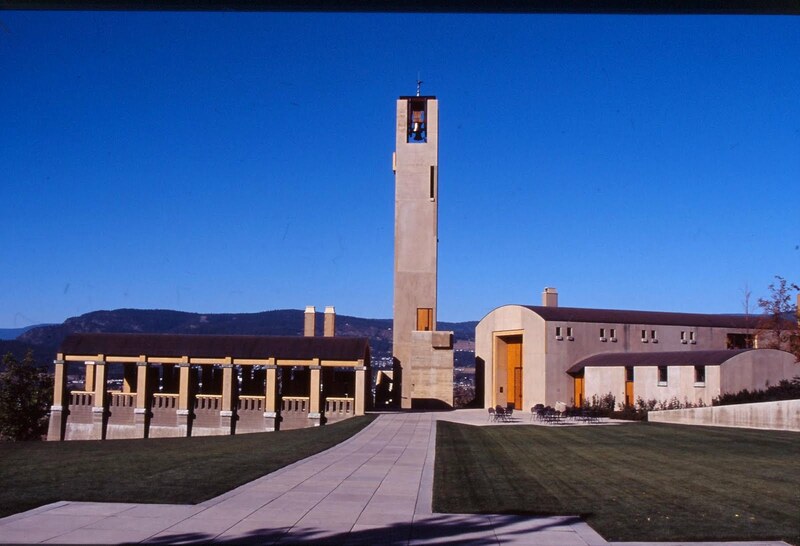 All 12 vintages of Sandhill have been made in the sprawling Calona winery in downtown Kelowna. While a spot has long been reserved on Sandhill’s Black Sage vineyard for a winery, Andrew Peller Ltd., which owns Sandhill, has had that project on hold while investing in Okanagan and Similkameen vineyards instead. Over the years, however, the Calona winery has been upgraded significantly. Howard now has a new red wine cellar, including new fermentation tanks and a vast array of barrels. In one previous vintage he was able to buy a modern press and that resulted in immediate and dramatic improvements in the quality of the white wines. Howard no longer has to improvise to make good wines, as he did in the early years when Sandhill was undercapitalized. Howard’s winemaking career began at Calona in 1980. He has been there ever since, first raising the quality of Calona’s wines and then taking on Sandhill when that wine project began in 1997. Sandhill and Calona are sister wineries. Both have been owned by Andrew Peller Ltd. since 2005. As Peller’s senior winemaker in British Columbia, Howard has a supervisory role in the winemaking for Peller, Calona and Red Rooster. He is the full-time winemaker for Sandhill. Sandhill grows roughly 200 acres of its own grapes on Black Sage Road, adjacent to the Burrowing Owl Vineyard. The wineries were viticultural partners for several years early this decade and, for most of that period, have used the same superb vineyard managers. 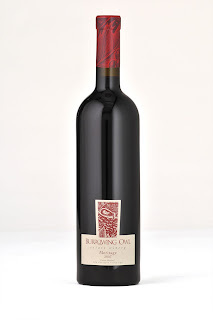 That is one reason why Sandhill’s wines have shown many of the positive qualities of the Burrowing Owl wines, even though different winemakers ran the respective cellars. Both vineyards were planted at the same time, beginning in 1993 and 1994. Sandhill also buys grapes from select vineyards whose operators are tightly aligned with Howard’s objectives. Sandhill makes single vineyard wines exclusively – wines that reflect the specific terroir of where they are grown. It assures wines of unique quality. The Phantom Creek Vineyard is owned by veteran grower Richard Cleave while nearby Osprey Ridge is owned by Robert Goltz who, with son Nathan, has managed the Sandhill Vineyard. King Family is a Naramata Bench vineyard operated by Don and Rod King. Sandhill’s reserve tier wines are released as Small Lots and include, among other offerings, the only varietals of Sangiovese and Barbera currently available from an Okanagan winery. By definition, Small Lot wines are produced in qualities ranging, generally, between 100 cases and 600 cases. The wines sell quickly but some are held back for later release. Recently, several older vintages of Small Lots wines were released at the Wineshop (in the Calona winery in downtown Kelowna). These are worth looking for; Sandhill reds benefit from a few years in the bottle before being opened. Here are notes, either from a recent tasting with Howard or of Sandhill samples that came my way. Sandhill 2008 Sauvignon Blanc /Sandhill Estate Vineyard ($18). There are additional Sandhill wines, all worth looking for based on previous vintages. In particular, Sandhill three 2006 Small Lots ($34.99) is an excellent Okanagan answer to super-Tuscan wines. This is a blend of 53% Sangiovese, 18.6% Barbera, 15% Merlot, 13.4% Cabernet Sauvignon and it is a very complex wine.